Many potential customers start with a RFQ, because they unable to find, despite a wide range of standard products, a suitable application solution. In the course of time more and more customer have confronted us with their individual design request and we have completed these technical challenges. elastometall has grown into a reliable partner for the industry and distribution of design and manufacture of customs specific rubber to metal bonded products. We control the entire process, from a sketch to the manufacture procedure, up to the final inspection. Therefore we are able to offer our customer a very high monotonically quality which is guaranteed in each phase of the design to right up to production. For more than 30 years elastometall produces high-quality rubber to metal bonded products, which been used for vibration, noise and shock isolation. We are development partners and producer of individually solutions of the field of rubber to metal bonded products for the highest quality requirement. Most of our custom solutions are manufactured in Germany, which guarantees a monotonically product quality and short lead times. Please contact and challenge us with your request and test our capabilities. In case that you don’t have a suitable CAD drawing available, our own design team will create a 3D drawing accordantly to your request. Please do not hesitate to contact us so we are able find together the best solution for your technical challenge. As soon we receive the order to produce your product we start, after your approval of the design, to create the necessary vulcanization mold. From the very beginning it has been very important to make our own tooling/molds. The mold production in our own house secures a possible short production time and an optimum cost structure. Our mold machineries are includes up to date CNC lathes and mills, which are capable to hold very close tolerances within a few millimeters. We develop our own rubber compound, which are manufactured in our own plant in Ireland. 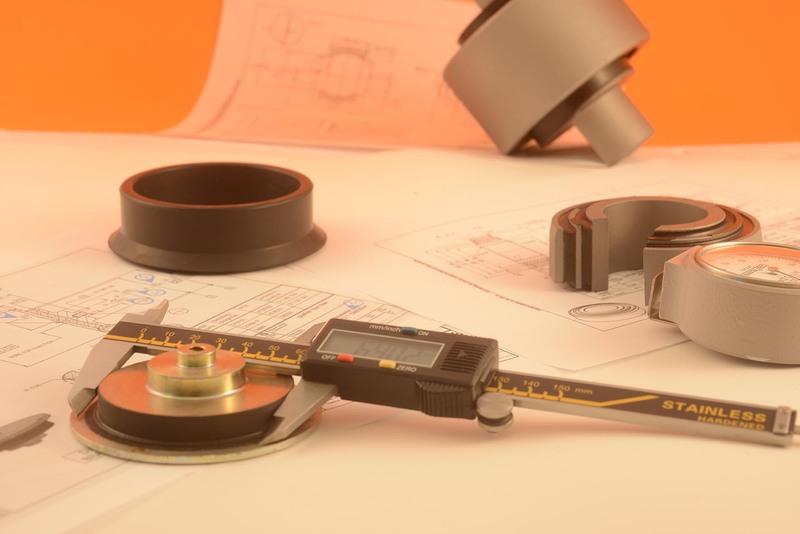 Because of our decades of experience we are capable to develop and manufacture customers requirements, which is suitable for every customer solution. Our production facility in Kentucky is in Frankfort (between Louisville in Lexington) includes 12 vulcanization presses and injection machinery. Thereby operate per component different production procedures like compression-, transfer or injection molding. We are capable to manufacture very small parts of just a few millimeters to up to 750mm diameter or 500×2.000 mm long. In case of large quantity, which has to be shipped via freight carrier the order should be received before 9am. All our incoming goods are carefully tested per our quality control standards. Each component is traceable by well-documented test reports and allocated to the individual production order. Every production step is visible and attributive to each component for every co-worker so the communication flow is guaranteed during the entire manufacture process. Many customers have their own long-term quality control requirements. For this purpose we have our own large climate controlled lab, which includes test equipment for dynamic or static testing. In many cases we test 100% and attach, if required, the results to the delivery or invoice.